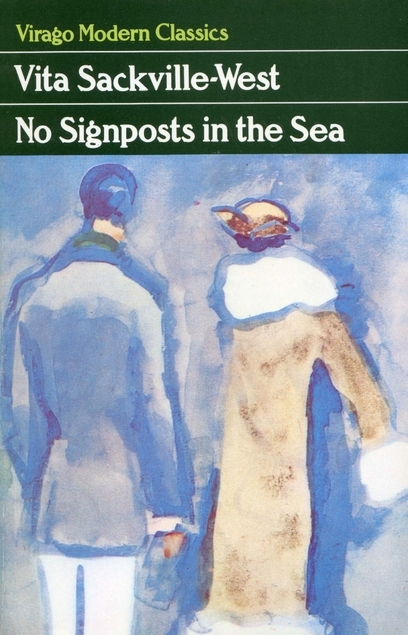 No Signposts in the Sea by Vita Sackville-West was first published in 1961 but my copy is a Virago Modern Classics reprint from 1985. I really liked this one, the setting is a cruise ship which is sailing to exotic locations and Edmund Carr is a passenger on it, one of the reasons he decided to go on the cruise is that he discovered that Laura is going on it and he has secretly admired the beautiful and smart widow for years. Edmund had never married, his life had been taken up with his career in journalism and he had ended up being an influential leader writer on a serious Fleet Street newspaper. Edmund’s doctor has recently given him bad news, he doesn’t have long to live so he gives up his job to go on the cruise and spend his last weeks with Laura who knows nothing about his illness or indeed even that he will be on the cruise. This is a thoughtful read as Laura and Edmund’s friendship deepens and they explore each other’s views on marriage and other things and Laura realises just how different their backgrounds are (possibly this explains Edmund’s reticence where a relationship with Laura was concerned) as Laura is obviously well-heeled and Edmund grew up in poverty in a teeny wee cottage. There’s plenty of humour though in observing the other cruisers and those must have been gleaned from the author’s own cruising experiences. There is an introduction by Victoria Glendinning. 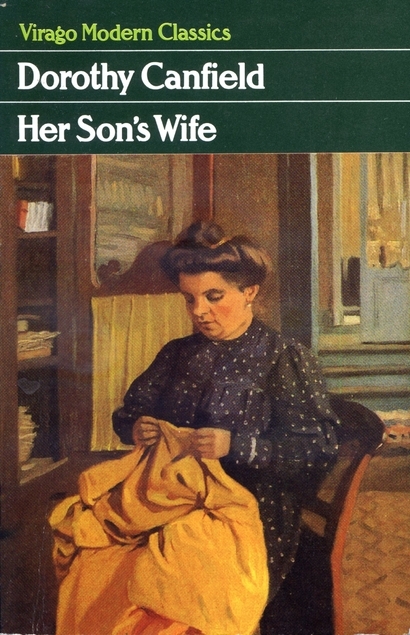 This was Sackville-West’s last novel, written when she was dying of cancer. She had a complicated personal life but was also a very keen and knowledgeable gardener, creating the famous Sissinghurst – a place that I have yet to visit. I read this one for The Classics Club. 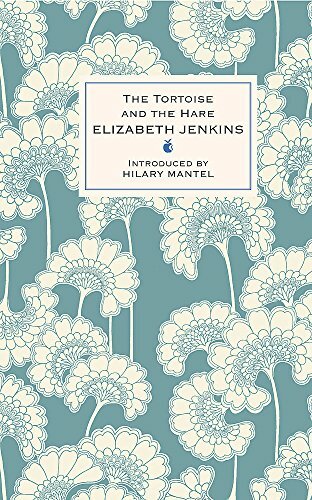 The Tortoise and the Hare by Elizabeth Jenkins was first published in 1954 by Victor Gollancz but my copy is a Virago Modern Classics hardback reprint. It has an introduction by Hilary Mantel. I’m not sure if ‘enjoy’ is the correct word to describe my feelings about this book because I found it to be so stressful with me willing the main character to stop being a doormat and to stand up for herself. Imogen’s husband Evelyn is a well-known lawyer – a King’s Counsel whose cases are followed by the newspapers. They’ve been married for years and have one son. Father and son are very alike in their characters, very self-centred, in need of pampering, never going to feel satisfied and take Imogen completely for granted. Despite the fact that Evelyn is very handsome Imogen trusts him around other women completely, mainly because he’s not at all interested in Zenobia, the local stunning looking vamp. So it is ages before Imogen realises that their much older female neighbour who is verging on ugly is actually well on her way to nicking Evelyn from her, and what is even worse she’s stealing their son from her too. The fact is that father and son are both easily lured away from Imogen because the neighbour is extremely wealthy and has connections, as well as a Rolls Royce. She spoils father and son rotten and Imogen doesn’t fight back. I found this one to be so frustrating and I’m sure it didn’t do my blood pressure any good, but I’ll definitely be looking for more books by Elizabeth Jenkins. Have any of you read anything else by her? 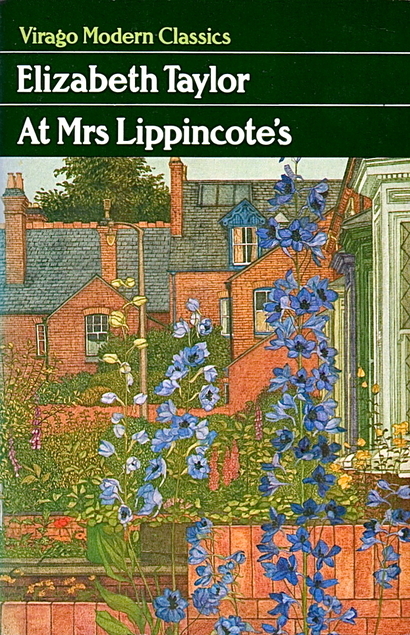 At Mrs Lippincote’s by Elizabeth Taylor was first published in 1945 but my copy is a Virago reprint. This was her first novel, I’ve read almost all of her other novels and I think that this one is obviously not quite as polished as some of her later books. To begin with I wasn’t really too enthralled with this one because I didn’t really like any of the characters but I ended up really enjoying it. The setting is World War 2 and Julia’s husband Roddy is in the RAF. He has been posted away from London and Julia and their son Oliver have gone with him. They’ve rented an old house and Roddy’s unmarried cousin Eleanor is also part of the household, she’s teaching in a local school. To begin with Julia is portrayed as a rather annoying and quite rude woman. Eleanor has always been in love with Roddy, so she thinks that Julia is off-hand with her husband, and to be honest she isn’t going to win any ‘best wife’ contest. Worse than that though is Julia’s attitude to seven year old Oliver who hasn’t even started school yet, Julia’s terribly over-protective of him, and it does him no good. By the time the reader gets towards the end of the book though everything falls into place, and what had seemed like peculiar behaviour on the part of some of the characters becomes completely understandable. There’s a painful conversation between Julia and her husband who basically thinks that education is wasted on females – and you just know that this is something that Elizabeth Taylor had witnessed herself, indeed I even witnessed that attitude within my own family in the 1960s. How times have changed for the better! Now I just have three of her novels still to read – The Wedding Group, Blaming and The Sleeping Beauty. Trooper to the Southern Cross by Angela Thirkell was first published in 1934 but my copy is a Virago reprint. I can’t imagine why they chose the cover image for it which is apparently called Self Portrait by George W. Lambert. It belongs to the Art Gallery of New South Wales, but other than that being in Australia it is a poor choice for this book. This one isn’t one of Thirkell’s Barsetshire books. It is I’m sure very autobiographical as Angela Thirkell did sail to Australia on a troopship with her second husband just after the end of World War 1. This is an account told by Major Bowen who is newly married and taking his young English wife back to Australia with him. He’s a doctor and had been in the thick of it in Egypt, Gallipoli and France, but now the Australian Imperial Army is sailing home. 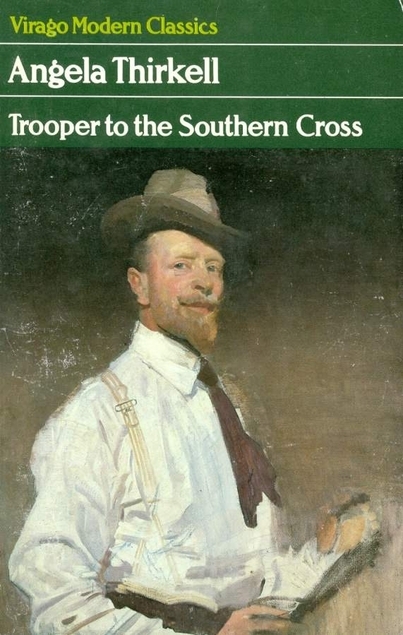 There’s a lot of humour in this book although the voyage itself is a complete nightmare as the ordinary Australian soldiers (diggers) were well known for being undisciplined and out of control. ‘Borrowing’ was their way of life and everything that wasn’t screwed down was stolen and stolen again. There are also prisoners on board but they seem to be able to get out and about as they feel like it. Hundreds of men women and children have been squashed into a ship which had originally been part of the German Navy but had been confiscated from them at the end of the war. Knowing this would happen the German sailors had spent their time disconnecting all the pipes and reconnecting them wrongly. Salt water was coming out of the cold water taps and there was no hot water, but steam came out of some pipes. The ship’s engineers were having a horrendous time trying to rectify it all, and the heat was terrible. Meanwhile the diggers were spending their time gambling and fighting when they weren’t stealing things. According to the narrator the problems were caused by the large number of soldiers on ship who were of Irish descent, of course the Catholics and Orangemen were at daggers drawn and Major Bowen had the job of patching them all up again. He even had to resort to violence himself when he was attacked. However the women on board were at no danger from the men who seemed to have a respect for them – even if some of them were real ‘wowsers’, and the most violent of men would meekly stand and take a bawling out from a woman if their child had been woken up by them. Many of the diggers were fathers and had missed their children, so sometimes the nursery was full of diggers taking a turn at dandling the babies. I prefer the Barsetshire books but this was a hoot too, and very true to life I think as during World War 2 the Australian army was notorious for bad behaviour. After towns were wrecked by Aussie soldiers word would get about and ports refused to allow them to disembark – so I’ve been told. 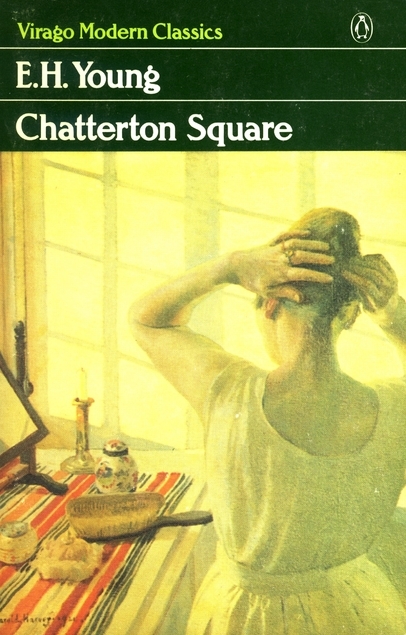 My copy of Chatterton Square by E.H. Young is a Virago reprint from 1987 and I’m ashamed to admit that I’ve had it sitting on a shelf all those years unread. It was the Undervalued British Women Novelists Facebook Group that I’m a member of that spurred me on to dust it off and read it at last, and I’m so glad that I did. It was my first book by E.H. Young and I loved it, it’s the last book that she wrote and is possibly her best one, subsequently I’ve read her Miss Mole and I didn’t enjoy that one quite as much. Chatterton Square is set in Upper Radstowe, (Bristol) it’s an area that’s slightly past its best but not quite down at heel. The Fraser family is a large one and their house in the square is owned by Rosamund Fraser, it had been built by her grandfather and she has always lived there. Her husband Fergus has abandoned her and his family and is thought to be living somewhere in France. His absence is a bit of a relief all round as his rages and bad behaviour in general had upset everyone. Miss Spanner, an old family friend has moved into the house since his departure. A house across the road has been rented by the Blackett family. Mr Blackett has been born thirty or forty years too late, he’s really a Victorian and tries to control everything, even down to the rather antiquated clothes that his wife wears. He has an enormous ego and thinks that he’s admired by all women. In fact he isn’t even admired by his wife, she had married him as a means of escape from her even more forbidding father, and her honeymoon in Florence had been a ghastly shock to her, something she had never really got over. The fact that her eldest daughter was conceived then and named Florence ensures that she has a constant reminder of it. The two families begin to fraternise, something that Mr Blackett isn’t very happy about. Unfortunately for Bertha Blackett her husband is quite besotted by Rosamunde although he claims to dislike her, he is I think annoyed by her ‘hold’ over him despite the fact that Rosamunde barely looks in his direction. Bertha ends up being the recipient of his lust, although that’s all very delicately dealt with. He insist on jamming their double bed up against a wall, meaning that Bertha is stuck between him and the wall, having to clamber over him to get out! Bertha knows her husband inside out but he is absolutely clueless about her character and wishes, she’s just an extension of him as far as he is concerned. He’s shocked when he discovers that she has been reading a different newspaper from him while he’s at work. He’s a bear of very little brain. There’s so much to say about this book, but I’m just giving a wee flavour of it here, it’s set just as Chamberlain is doing all that toing and froing between Berlin and London in an attempt to avert World War 2. The possibility of war hangs over the whole book with Blackett absolutely sure that there won’t be another war (he had dodged the last one). The spectre of World War 1 follows all the older characters. Everybody else is quite sure there will be war, particularly the ones who had been in the first war. World War 1 hangs over everything I think, Fergus has almost certainly been damaged by his experiences in that war, hence his moods and rages, things that Rosamunde had probably not bargained for when they were first married. Despite everything Rosamunde is an optimistic woman, which is just as well. The women are by far the more important characters, the men shadowy compared with them and I love the way Bertha Blackett deals with her obnoxious husband, she’s so much brighter than he is. Miss Spanner seems to be a favourite type of character with E.H. Young. She’s similar to Miss Mole in many ways and both characters have a habit of ‘knocking’ or pushing their noses at times of distress. I note also that another of Young’s books is titled The Misses Mallett – Young seemed to have been fond of naming spinsters after tools! Chatterton Square has an afterword by Bel Mooney. I intend to read all of Young’s books eventually. Her Son’s Wife by Dorothy Canfield was first published in 1926 but my copy is a Virago from 1986. Mrs Bascomb is a schoolteacher, she’s a widow with one son who is at college. She has a very high opinion of herself as a mother and a teacher and her overbearing attitude has resulted in her son Ralph growing up without her really knowing what he is like as he has had to hide his real self from his mother, she wouldn’t approve of him. She has plans for her son to become a high flying lawyer like all the men in her family have been. It doesn’t seem to have occurred to her that he might have different plans. Her plans go awry when it turns out that Ralph has got married, and to what she regards as a very unsuitable and common young woman called Lottie. The young couple move into Mrs Bascomb’s home which she has scrimped over the years to pay off the mortgage. But it isn’t long before she feels like a stranger in her own home. Mrs Bascomb despises the sort of woman who can’t get along with a daughter-in-law, but it’s hard for her to admire Lottie as she turns out to be a dirty, selfish and lazy flibberty-gibbet. Not long after the wedding Lottie gives birth to a daughter and of course Granny Bascomb falls in love with the baby, but Lottie complains that her mother-in-law is trying to take the baby away from her and the result is that Mrs Bascomb moves out for a few years, taking up a teaching post in another town. Years later there is a reconciliation and Mrs Bascomb moves back into what is really her home. Ralph is somewhat relieved as Lottie is too busy flirting with any man that she sees to even feed their daughter and money is tight as always. Mrs Bascomb realises that Ralph is deeply unhappy with his situation and at last it dawns on her that he behaves as he does because of her, her strong personality was the reason that he was so weak-willed. She decides that she has to do something to change his life and arranges for him to get a job that he will enjoy. But Lottie still has to be dealt with and Mrs Bascomb decides to encourage Lottie’s tendency towards hypochondria, employing a quack doctor to order her to bed to help her bad back. Mrs Bascomb knows exactly what is going to happen and at least she does feel guilty about her actions. She’s going around constantly washing her hands. Ralph even discovers her up during the night – washing her hands. She’s doing a ‘Lady Macbeth’ of course – which is apt because she has just condemned Lottie to a slow death, and sure enough ten years later Lottie is still in that bed, still getting constant visits from the quack doctor and now really bed-ridden from lack of use of her muscles. I’ve read a few of Dorothy Canfield’s books now and I think this is the one which I’ve least liked. There really aren’t any likeable characters in it. Lottie is ghastly but her mother-in-law is much worse, she’s a manipulative control freak and just gets worse when she wakes up to her own nastiness. I read this one for the Classics Club Challenge.